Meditation has never been a matter for contemplation. As soon as they experience any feelings of restlessness, anxiety or depression, they usually turn to their drug of choice to alter their state Meditation has achieved a safe and natural cure for them. For people going into rehabilitation for drug,addiction meditation provides an alternative method for recovery. 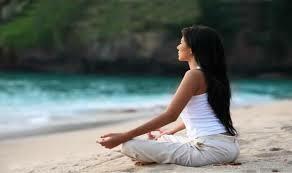 Meditation as an important component in addiction recovery. Successful addiction recovery is often related to an individual’s ability to develop and use a repertoire of coping behaviors, including the ability to maintain an ongoing awareness of one’s vulnerability, These learned behaviors serve as reliable alternatives to the routine behavior patterns of individuals behavior . Relaxation is the emotional and spiritual benefits, meditation has physical benefits, such as lowered heart rate, enhanced energy and mental acuity, and increased blood flow. The slow, steady breathing of meditation can help reduce tension and stress, improve concentration, and reduce feelings of depression, anxiety and anger, providing peace of mind and an overall sense of well-being. Mindfulness is in feelings with drugs and alcohol; young people can use meditation as a gentle way to clear their minds. Individuals in recovery use meditation to sit in silence, focus on body sensations and thoughts, and begin experiencing their emotions in a non-threatening way. For individuals who are addicted to drugs or alcohol, temptations to use are inevitable. Meditation is one way to gain awareness of these thoughts, accept them without feelings of guilt or shame, and learn how to cope in healthier ways.This practice makes life in sobriety far more enjoyable. The individual is able to get pleasure from even the simplest things. Spiritual Connection is many people; meditation is a deeply spiritual practice. A highly personal and self-directed activity, meditation appeals to a number of individuals as a way to explore their beliefs without any pressure or expectations. People who practice mindfulness will be better able to spot the warning signs that they are losing their hold on recovery. This way they will be able to avoid a relapse.